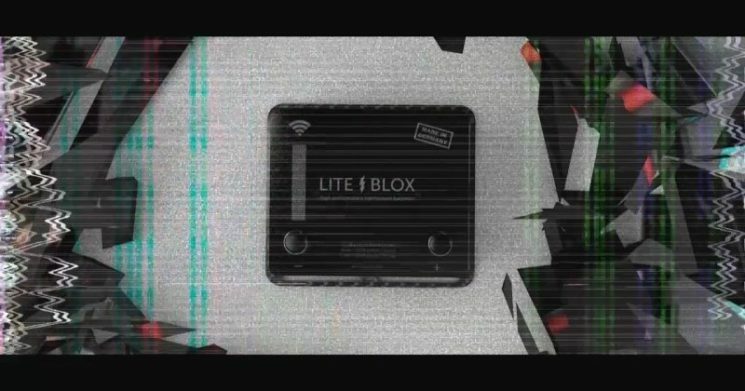 The feather light LITE↯BLOX “LBbike” comes in three versions (LBbike S / LBbike M / LBbike L) in a plastic housing with integrated BMS electronics and is aimed at quality-conscious customers with light racing machines, naked bikes, street fighters & supermotos or heavy choppers & Harleys. 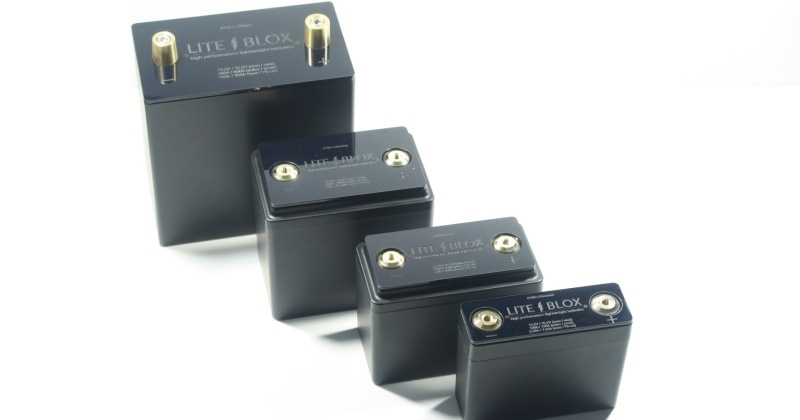 The LBbike batteries will be delivered from May 2019 and can be pre-ordered from now on in our online-shop or at your performance partner of trust. 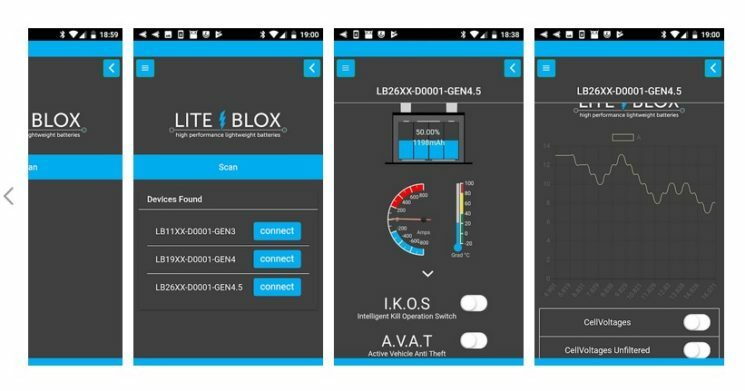 All current LITE↯BLOX models* have a specially developed, intelligent power electronics, which enables a permanent shutdown (I.K.O.S. ), as well as securing the vehicle against theft (A.V.A.T.) via smartphone. 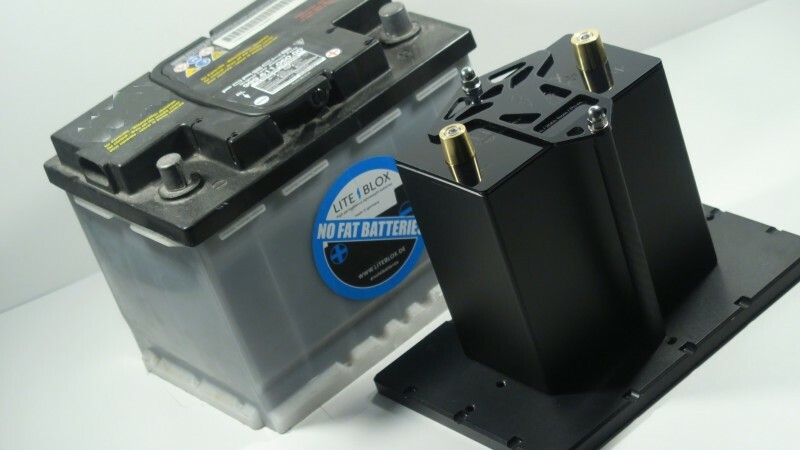 Our optional available adapter bracket allows a plug’n’play replacement against the standard OE starter battery, saving up to 20 kilos total. The LBtrack racing battery will be delivered from May 2019 including DMSB homologation and can be pre-ordered from now on in our online shop or at your performance partner of trust. We are happy to announce another cooperation with Team RootsRacing around Tim Schrick and Lucian Gavris for the upcoming VLN season at Nurburgring racetrack. The Subaru BRZ lightweight rocket, built with the support of the team of Frensch Power Motorsport and supervised by the legendary screwdriver veteran “Uncle Funny” is proudly powered by one of our LITE↯BLOX LB20XX models.